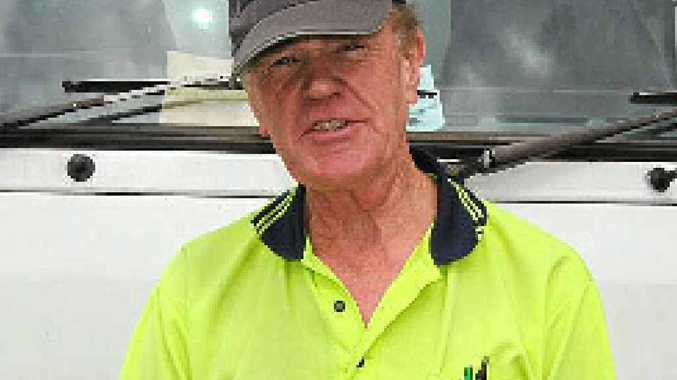 FORMER Townsville radio announcer John Evans is now a happy truckie based at Hobart in far away Tasmania. The 65-year-old John was driving a 1985 Mitsubishi for Goodman Fielder delivering bread when Big Rigs saw him at Sorell. "I have worked as a truckie in NSW delivering fruit and have been in this job for quite a while," he said. John said he was a radio announcer for then Radio 4AY in Townsville between 1971 and 75. "I remember when Cyclone Althea hit there in December 1971 and now Channel Nine television identity Ken Sutcliffe was on a local station," John said. Having spoken about a cyclone it was rather ironical that bush fires caused massive damage to some places where John makes deliveries in southern Tassie.